Today was Day #3 of Chocolate and Gluten Free Brownie Theme Week. Up until recently finding great-tasting, gluten-free brownies was adequate cause for celebration. 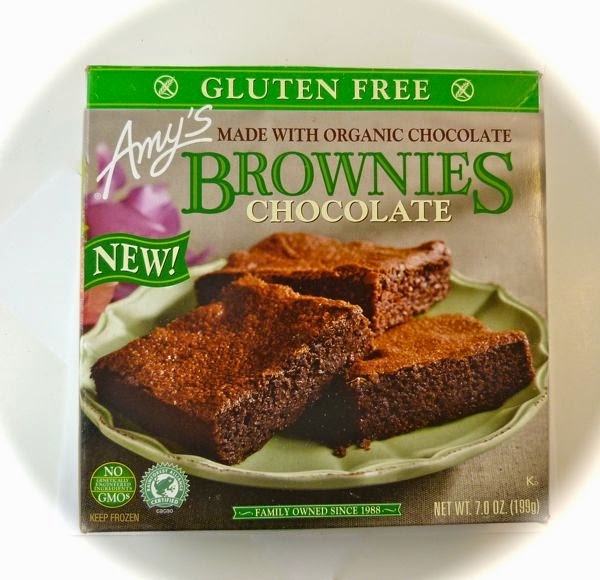 And now Amy's Kitchen Inc. (Petaluma, CA) is spoiling us with great tasting Gluten Free Chocolate Brownies -- made with Organic Chocolate. I found these brownies in the freezer section. The size was perfect -- smaller than a party size and bigger than a single serving, enough for 4-5 generous servings. 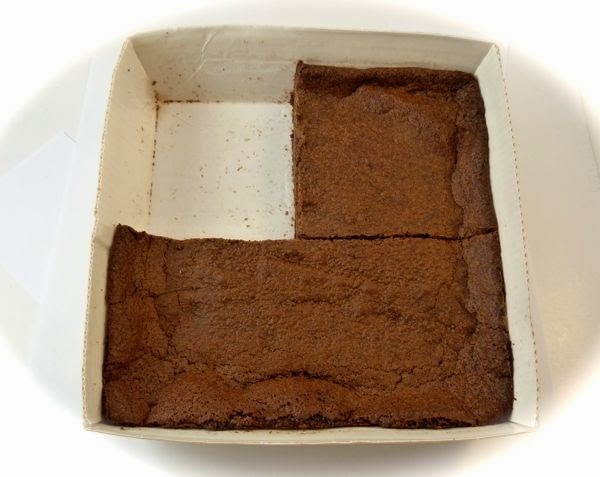 The brownie "pan" was a relatively shallow, white cardboard tray; and I used a knife to very carefully cut out and remove the brownie size I wanted. The brownie I had was sweet, moist and chewy with a rich, authentic chocolate taste. I would definitely share these with others.